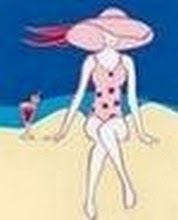 One of the most appealing blog sites I’ve seen is one created by Kathy Holmes, www.FlipFlopsAndFabs.blogspot.com. Maybe it’s the big hat. Or perhaps it’s the big blue umbrella facing the ocean. I wanted to go there, and knew right away Kathy would be a kindred spirit. Sure enough, we’re both California Babes, though Kathy now calls Las Vegas home. (You can take the woman out of California, but you can’t take the California out of the woman.) We share a big love for many regions of California, and take with us wherever we go a sense of what I call the “edge-thinking” that makes us independent and creative. As a blogger, she started in 2005 by creating “Chicks Over Forty,” which made a good-sized splash, but her understanding of genre evolved, she realized two important things. One, a tsunami called Women’s Fiction was overtaking the country. After seeing her signature novel Real Women Wear Red become a top seller—outselling the romances she’d written, published by traditional romance publishers—she realized she was “home.” When it comes to Women’s Fiction, she wisely pointed out, “Women want it, and they look for it, even if the publisher doesn’t make it easy to find.” You can find her novel here http://amzn.com/1430316713 , and she’s working on the sequel. And, two, she wanted to have FUN, and invite others to do the same. The result is her hugely popular Flip Flops blog. “FAB” stands for Frosty Adult Beverages—which was a new one on me. I thought it stood for her desire to find and share fabulous stuff, and I still say I’m right, because that’s what Kathy does. A voracious reader, she rattled off a long list of faves that included Laura Caldwell, who now writes mysteries; and Megan Chance, who writes historical fiction about uppity women who don’t fit in. As you can imagine, Kathy’s questions for me were probing and insightful. We really kicked off our flip-flops, stuck our toes in the sane, had a real girlfriend conversation about fabulous reads and all the doors a good book opens. We also talked about how women prefer connecting over competing, creating not just energy, but synergy. So now you have TWO reasons to visit the California coast! One is Kathy’s debut novel. And one is my favorite little town of Milford-Haven—glistening in the sun, waiting for you to walk the shore in your flip flops and read something fabulous. For more information on the changes that are taking place with The Milford Haven Novels, please read my newsletter. 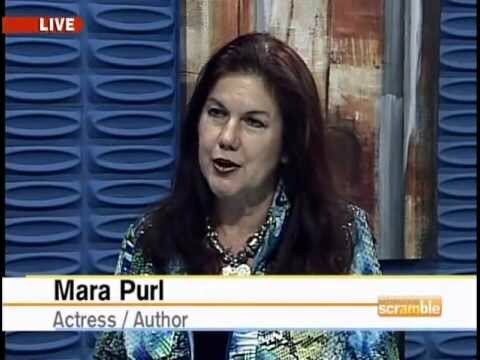 If you have not subscribed, visit www.MaraPurl.com to have my newsletter sent to your mailbox every month. This entry was posted in Author Mara Purl on Blog Tour, Bellekeep Books by Mara Purl, Blog tour of author Mara Purl, Blog Tours, Books, Books for Baby Boomers, careers, Collaboration with other writers, Connecting through books, Creativity, Current Event, current events, E-Books, e-books by Mara Purl, Fictitious town of Milford-Haven, head and heart connection, head and heart connection, Heart, history, inspiring through fiction novels, Intuition, Life in Baby Boomer years for Women, life's purpose, Mara Purl, Mara Purl, Mara Purl, Mara Purl Romance novels, Mara Purl using new marketing methods for Books, Marketing, Milford Haven, Milford-Haven Novels & Stories, mission and core purpose in life, new methods of marketing books, Nurturing the soul, Of Baby Boomer Women, of lives through books, Publishing, Re-Build your Life, relationships, Romance novel readers, Romance Novels by Mara Purl, Romance Novels by Mara Purl, Romance Novels for romance junkies, Romantic fiction, romantic novel storylines, Science, self-growth, Small Town Fiction, sychronicity of life, synchronicity, synchronicity, Transformation, Travel, Uncategorized, Virtual Book Tours, Virtual Book Tours, What the Heart Knows, When Hummers Dream by Mara Purl, When Hummers Dream e-book, women and romance novels, Women and Romance Novels, Women authors, Women's Fiction, womens literature, Writing, writing romance novels and tagged author Mara Purl, blogging, California Babes authors Mara Purl and Kathy Holmes, California coastline, changes of The Milford Haven Books, Chicks over 40, FABS, Fiction, Flip Flops, Flip Flops and FABS, Frosty Adult Beverages, girlfriend conversations and good books, Kathy Holmes, Kathy Holmes and Mara Purl blog, Kathy Holmes debut novel, Laura Caldwell mystery books, Mara Purl on blog tours, Megan Chance historical fiction, Narrative writing, Real Women Wear Red, synergy, technical writer Kathy Holmes, The Milford-Haven Books, traditional romance publishers, What the Heart Knows, women's fiction novels, womens fiction, writing, www.marapurl.com. Bookmark the permalink. Thank you, Mara. Had a fabulous time chatting – you so get me or maybe we get each other. Love it! And my thanks to you Kathy! Yes, we “get” each other! Great synergy. Keep me posted and I’ll do the same! All the best with your book! We must meet . . . I mean . . . blog again! Well, I’m a coastal person, it’s true. Always seem to feel most comfortable where land meets ocean. Yet I have a great appreciation for rivers too, and will be writing about that later in my novel series. Are you near the river? Did you ever read “River Horse” by William Leastheat Moon? Highly recommend! I prize the phrase “women prefer connecting over competing!” Such a beautiful way to approach our friends and colleagues. Thank you! Thanks! Oh, yes, with our inherent connectivity, we really transform the world, both in our writing and beyond. Let’s do more! Thanks so much, Kathy, for your wonderful comment. Hope your own writing is going well!